"tense and unpleasant atmosphere throughout"
✅ Trip Verified | I normally fly AF/KL/DL but TAP had a convenient schedule and on the MIA-LIS sector, I was able to join two colleagues who were booked on that sector. 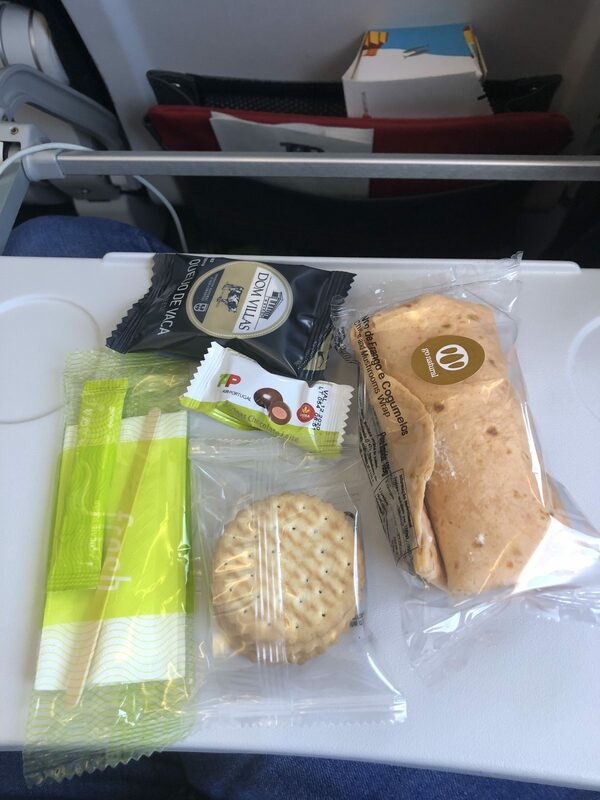 I booked a VGML and was told by the call centre that special meals could not be booked on intra-European flights, even in business class. TAP, to my knowledge, is the only European legacy carrier not to offer this basic service to its premium customers. Once onboard, the breakfast served were two slices of grey-ish meat and 2 slices of sweaty cheese which had obviously been left unrefrigerated overnight onboard (the Purser confirmed TAP only gets catered in LIS for this flight and that the catering arrives the previous day and remains onboard). A croissant was then given, and it was mouldy. I returned everything untouched. We arrived in Lisbon on a remote stand and there was no separate bus for Premium passengers. I made my way to the non-Schengen area where all TAP long-haul flights depart from, and walked around to try to locate the business class lounge. After 20 minutes of looking, a staff member told me that the lounge was in the Schengen area. Seeing how enormous the queues were to get back to the non-Schengen terminal earlier I decided to head to the gate directly as by now there were only 30 minutes left to board. I sat at the gate and observed how the boarding time came and went. The TAP app still said “on-time” even though the departure time had passed, and no word from the gate agents until H+10, when someone at the gate said that due to late crew, boarding was delayed indefinitely. We departed 2 hours late and the Captain apologised, saying that two crew members were late due to a traffic accident on the way to the airport and we had to wait for them. Are there no stand-by crew at TAP's main hub? The aircraft was a run-down A330-300 with a business class straight out of 1995. Slanted seats, yellowing walls, dirty toilets and unresponsive seat controls. The meal was slightly better than on the first sector, but outside of meal service, not a single crew member came out with a drinks tray. We arrived 2 hours late in Miami but at least my bags arrived promptly. 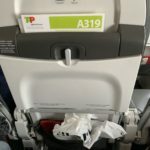 I called TAP's US call centre about my poor experience and they assured me that my return flight from MIA to LIS would be vastly improved as it was to be operated by a A330-200 with the new business class. I logged on to my account and saw that indeed, the configuration was different and looked more spacious and I had been re-assigned to a single-throne seat. The day before the flight, I checked in online and to my horror, I saw that the plane had been reverted to the same substandard A330-300 I had on LIS-MIA. Needless to say I was unable to sleep on that night flight and my seat had been re-assigned several rows away from my colleagues. Several passengers complained to the crew and I must say they handled it the best they could, but it made for a particularly tense and unpleasant atmosphere throughout the flight. I visited the lounge in LIS prior to my flight to TXL and it was jam-packed. Only one coffee machine worked. The area to the right of the lounge, a semi-circular row of designer seats was filthy with each seat heavily stained. I could not believe this was a new lounge at TAP´s flagship airport. Boarding for the LIS-TXL was done the Ryanair way, cramming everybody in the airbridge for 20 minutes as the crew was not yet ready. I complained to TAP, and still waiting for an acknowledgement 3 months later. ✅ Trip Verified | Valencia to Warsaw via Lisbon. I booked the flight at the same day, I've got a very good price. As a customer of cheap airlines, I was shocked as I did not have any problems with my carry-on bags (they even came to help me with my 5 bags at the cabin), they served drinks and food, the departures and arrivals were on time, the aircraft was clean, pilots landed smoothly, the staff was super helpful. The only problem that I see: quite expensive check-in bag, but (if you are a saver like me) you can carry as much luggage as you want to the cabin. ✅ Trip Verified | Frankfurt to Lisbon. Terrible and do not recommend. Was almost late for the flight because of the terrible customer service. The baggage drop off section was unattended for 30 mins leading me to have to wait with the people doing check in. That took almost an hour, which insane and a huge oversight and inefficiency on TAP. 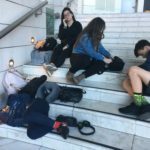 "totally fly with them again"
✅ Trip Verified | Barcelona to Porto. Decided to book TAP Air Portugal to go to Porto for Christmas. Initially paid for a economy ticket. The airline has an upgrade online system that you can bid for, so I decided to treat myself with a Business ticket for Christmas. The upgrade was accepted and was a great idea. Barcelona airport in the morning had a busy security with massive lines, so I had a very smooth process since bag drop until board the plane. The lounge was comfortable too. The flight was really full, but on time and we arrived in Porto 5 min or so ahead of schedule. Is clear that the airline been improving their service in the last years, will totally fly with them again. 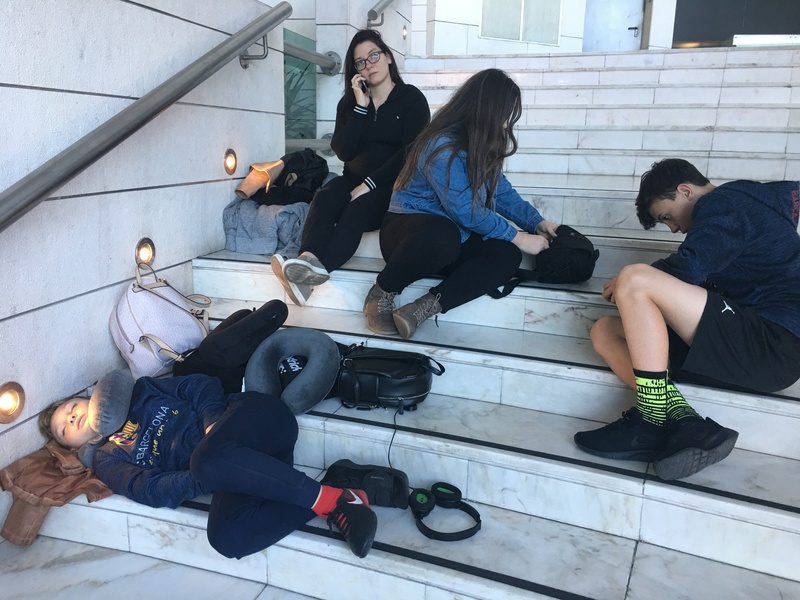 "never fly this airline again"
✅ Trip Verified | Madrid to Miami via Lisbon. Terrible, no doubt not up to the level of Star Alliance. The ground staff in Lisbon were rude throughout the process, from check in to boarding. Arrogant, rude, and absolutely incompetent. Provided wrong information, made us waste money on something that was not necessary, and never apologised. Flight attendants 50 - 50. Some of them Ok, some others rude too. Asked for a glass of water and was ignored, as the attendant was "busy" reading the Portuguese newspaper. Hopefully will never fly this airline again. 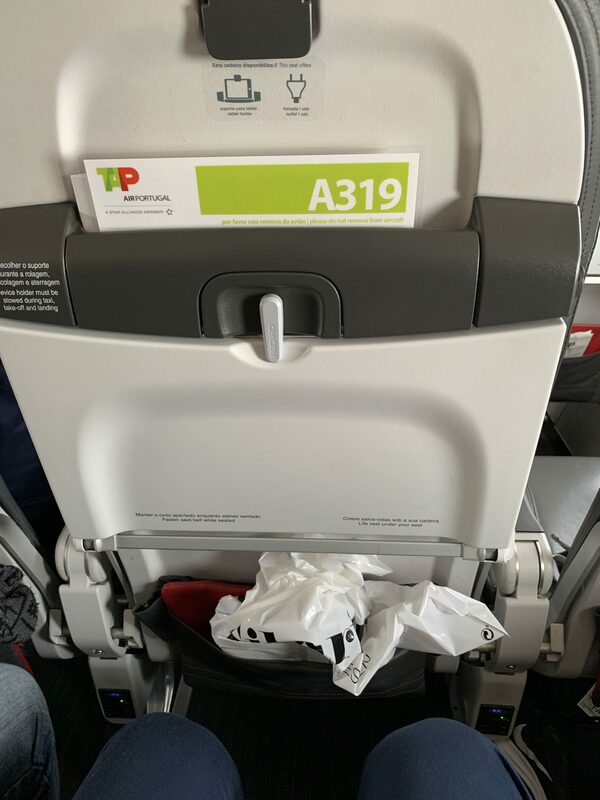 "served a comprehensive hot breakfast"
✅ Trip Verified | Copenhagen to Lisbon with TAP Portugal. Flight left on time, we were served a comprehensive hot breakfast (rare thing to see in European flights these days), the crew were friendly, the captain spoke twice to the passengers to update us on the progress of the flight, the seat had plug to charge devices and we arrived earlier. What else could we ask for? The only negative aspect had nothing to do with the airline but with the airport. The boarding in Copenhagen was confuse since there is no boarding by zones like in Lisbon. ✅ Trip Verified | Lisbon to New York JFK. I'm quite puzzled by some of the negative reviews on here. I thoroughly enjoyed my flight with TAP. The crew was delightful - smiling, friendly, and couldn't do enough for you. The meal was excellent, as was the inflight entertainment system. The choice was very wide, and I watched two films in the course of the flight, so films and eating didn't leave me that much time to sleep. I did get about four hours though, which is a lot for someone who can rarely sleep on planes; the bed was comfortable and TAP kept the temperature on board on the cool side, which is what I like. Last, but most definitely not least, other airlines whose ticket prices I checked were charging upwards of 5000 Swiss francs for a one-way flight for the date on which I needed to travel. My TAP ticket was CHF1300 - a huge difference in price with no difference in quality. I wouldn't hesitate to fly them again. ✅ Trip Verified | Toronto to Lisbon. TAP offers a solid product with good value for money. However, we got one of the oldest A330's in the fleet (CS-TOG) with an outdated entertainment system without "video on demand" capabilities (only half a dozen continuously running channels). Hopefully these will be phased out over the coming years as the airline replaces them with the brand new A330 neo. One thing that bothers me about TAP is that the captain often doesn't talk to the passengers, which was the case. There was no talk either prior to take-off or after take-off. The flight attendants were in general friendly and helpful. 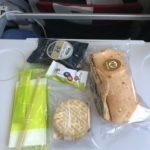 The meal was ok-ish, but still beats what is provided on the same route with Air Canada. The ground staff at the check-in at Pearson was not particularly helpful or friendly but at least they let families with small children board first (which was our case) and in the end the luggage arrived. ✅ Trip Verified | Lisbon to London Heathrow. A regular flight. The staff were extremely nice, the meal was satisfactory. As it often happens with TAP, the flight was slightly late. As there was an aircraft change, some people had their seats changed. "just trying to milk customers"
✅ Trip Verified | Abidjan to Lisbon. Flight was delayed by more than 3 hours, customer service was anything but kind and receptive to my complaint. Information about delay was given last minute. Personnel on board are alright but the organisation running TAP is clearly just trying to milk customers out of as much money as possible without providing the necessary ressources for a comfortable trip.